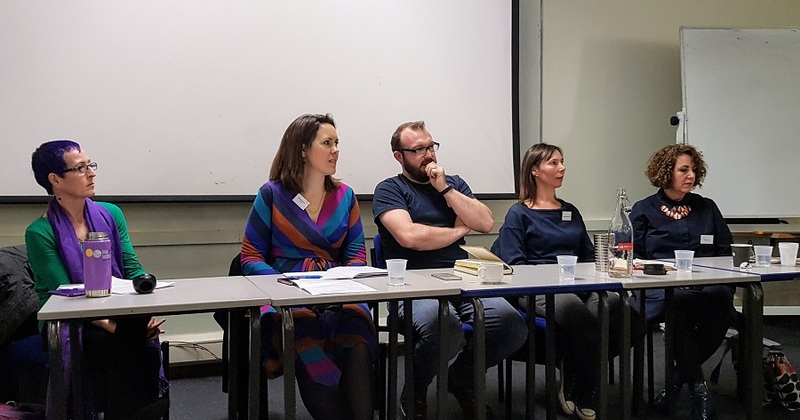 The Director of Human Resources at Birkbeck, Charlotte Croffie, challenges us to be creative and listen in the latest Astrea networking event. This blog was contributed by Kayleigh Woods Harley, from Birkbeck’s Strategic Programmes Directorate. Glancing around the hot and sunny room at Gordon Square, I realised I had never seen such a well-attended Astrea networking event in my time since becoming a facilitator. There were around 45 people staring back at me as I gave a brief introduction to Charlotte Croffie. I took my seat amid the anticipation. There could be no higher authority from which to draw than Buddha, and that is exactly where Charlotte began: “All that we are is the result of what we have thought.” With humour and insight, she reinforced this message, moving on to the theme of creativity in one fell swoop. 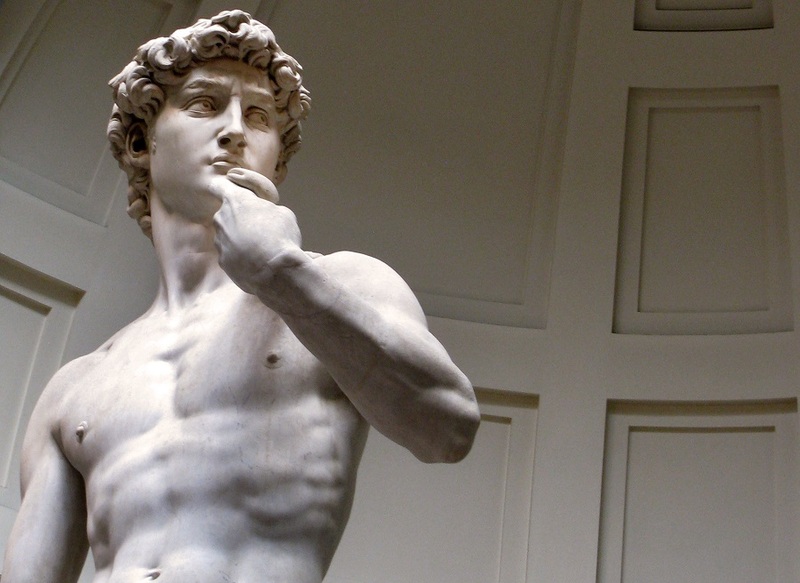 We considered how Michelangelo created his masterpiece David. She outlined the steps from selecting a block of marble, to chipping away in small increments until all that was left was David, appearing as if conjured straight out of the sculptor’s imagination from the inert stone. Those who had chosen to draw instead of write their answers were asked to show their hands. Only a handful of people had. It demonstrated how few of us are willing to step out of our comfort zone. We needed to start challenging ourselves to step out of our default position more. Being part of Astrea is one way for me to meet these personal goals, and so far it has not failed me in reaching them. In the largest segment of the afternoon, we worked in small groups to take on one of three roles, A, B, and C: A – articulate what you want to achieve; B – listen; C – observe. Those who became ‘A’ took on the challenge of speaking non-stop for two minutes about what they’d written. The listener was forced to listen without speaking, while the observer noted the interaction, the body language and tried to interpret what was happening. If you’ve ever done this exercise before, you’ll know how revealing it can be. For some, it revealed how little we truly listen to others because we assume we already know what they are going to say. Being unable to respond to the speaker was deeply uncomfortable, but also liberating to hear what is really being said. The natural temptation to ask the speaker questions was very difficult to override. It showed how deeply ingrained are the learned behaviours that we adopt from a young age into adulthood. Charlotte taught us that active listening is a key skill for coaching. You must learn to override those natural instincts to interrupt, to comment, to reassure, and allow the other person the space to expand on their thoughts. We were encouraged to practice this often with a trusted friend or colleague. Learning to coach and being coached are both ways in which we can learn to unlock our potential through creativity. Creativity requires that space and time we don’t often find at work because we are constantly busy and feel under pressure. Take stock – how will this be perceived; what are the strengths and potential drawbacks? It all begins with that first step of mapping your default position. It all begins with a realisation, a thought, just like the Buddha said. With a little perseverance and possibly the help of a friend, it can transform us. There is a lot going on in the digital transformation project. Jane Van de Ban, Birkbeck’s Digital Content Manager, provides this summary of activity over the past term. We are upgrading the Birkbeck school/department web presence, to provide entirely new, refreshed content, including new images, and improved navigation. With five school sites, 18 department sites, 21 microsites and over 32,000 content items – pages, images, files, events and news stories – all of which need to be reviewed and upgraded – this is a huge undertaking. build appropriate wayfinding pages, comprised of high-quality images and signpost text, to improve navigation across the Birkbeck site. Due to pressing technical issues with our content management system (CMS), Plone, we need to deliver this project by the start of the 2019-20 academic year. To help us deliver this ambitious project, our team has grown, with freelance editors and web staff from all of our schools working alongside us for a few days each month. 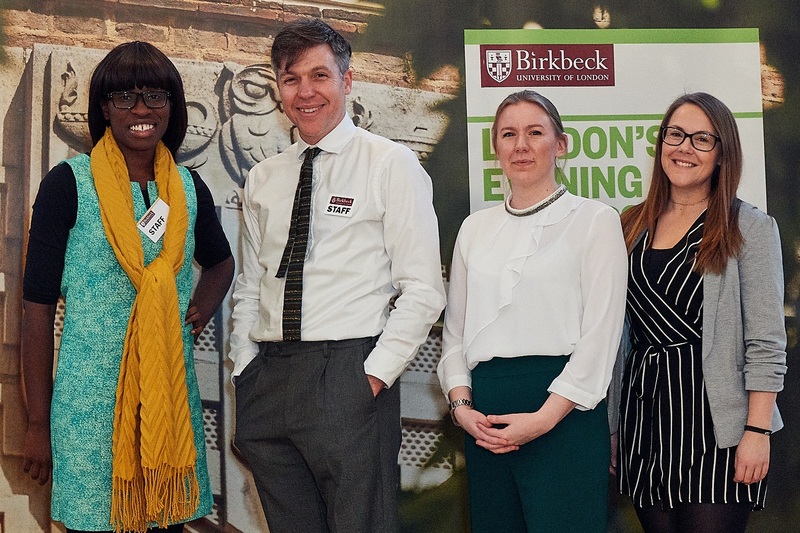 So, a special welcome to Ollie Chinyere (Arts), Yossie Olaleye and Aaliyah Archer (BEI), Louise Ross and Matt Wicks (Law), Pauline Jones (Science) and Antonio Terzini (SSHP) and our freelance editors, Rebecca Slegg and Denise Drake. MPhil/PhD funding is hugely complex and requires knowledge of different funders’ priorities and processes, as well as the conditions attendant on them. Funding is not static – it is awarded throughout the recruitment cycle. So, we need a flexible web solution that allows us to add and withdraw funding throughout the year. Information on funding needs to be easy to understand for both prospective students and academics, as the latter need to provide specialist information on the full range of MPhil/PhD funding available. Based on this workshop, we have developed a bespoke MPhil/PhD funding resource (on our development site) and shared it with subject experts across the College, who gave us extensive and helpful feedback, mostly related to the layout of the new wayfinding page. We have now revised and updated the content and aim to get final sign-off in January, after which we will schedule the go-live. As with funding information, you will find application information for prospective MPhil/PhD research students scattered across the Birkbeck website. The objective is to make it as easy as possible for users to read and follow our advice before applying. At the workshop, the prospective MPhil/PhD research students need to explore potential supervisors and ideally, contact them and start writing a research proposal before applying. Although this advice is provided across our website, departments still receive ‘cold’ applications, which require a lot of administrative and academic support. We also learned that the application process is similar across schools – the most striking differences relate to funding. In response to the workshop, we have consolidated and improved our MPhil/PhD application advice on our online prospectus and on our central How to Apply pages, which will help improve the application process (we will, of course, test the changes with users). This information also dovetails with the improved MPhil/PhD funding information. The application information is now live and, early in the New Year, we will unpublish redundant, duplicate department pages and redirect users to our new, consolidated information. This will make it much easier for academics and prospective MPhil/PhD research students to find information. In all the years that we have talked to schools/departments about their web presence, one message has come out loud and clear: the absolute centrality and importance of research. Yet, if you explore our department pages, it’s difficult to find much information about research. Around 160 funded research projects are currently underway at Birkbeck but learning about them is very challenging: the majority don’t have any presence on the Birkbeck website, and the only comprehensive list is a spreadsheet maintained by the Research Office. We need to publicise the full range of our funded research projects. The audiences for this information range from the general public to corporations looking to invest their Corporate Social Responsibility fund, businesses keen to invest in new ideas and tools, potential academic collaborators, and REF panels. We need to provide more than just a summary of each project. With this and other findings, we have started to develop web pages for every funded research project at Birkbeck, using a standard template. In the New Year, we will engage with researchers to take this project forward, with a view to publishing these new pages in 2019. Improved search: the ITS Web Team have been busy implementing our new, much improved search tool, which will make it far easier to find relevant information on our website. This is due to go live in the first half of 2019, following a rethink of the implementation to reduce reliance on the College’s current CMS. 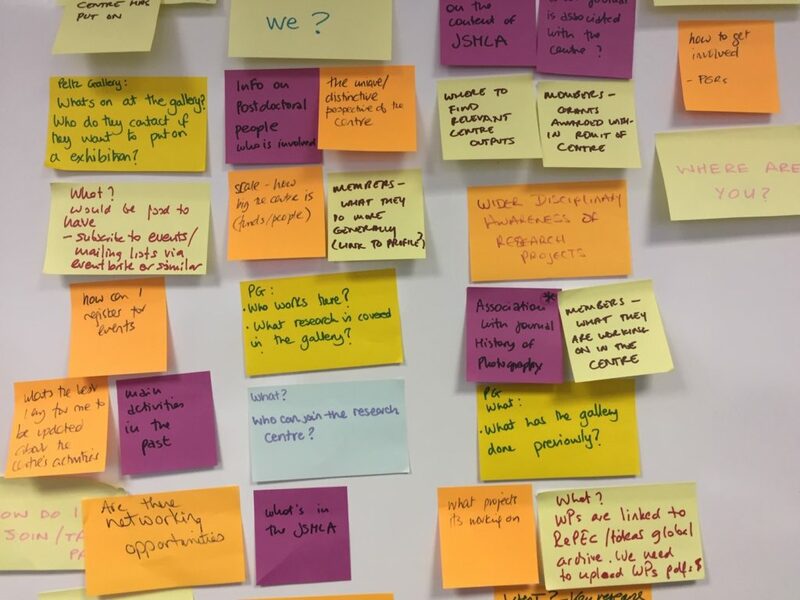 Academic staff profiles: redeveloping staff profiles was set as a project priority by the Web Working Group and we commissioned new designs and extensive user testing and consultation with staff across Birkbeck. Pending final consultation relating to KEF and business services, the new profiles will be built and then populated with information by the DTP content team. The plan is that academics will maintain their profiles via My Birkbeck for Staff.